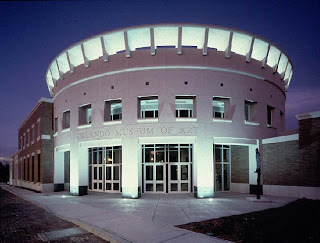 We are so excited to be working more with the Orlando Museum of Art in the future. 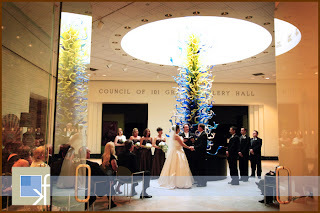 The OMA is such a unique and beautiful place for couples to exchange vows and party during their recpetion on their wedding day. Alyssa, the facility rental coordinator at the OMA, answered some questions for us and gave us a lot of great information to share with you all. 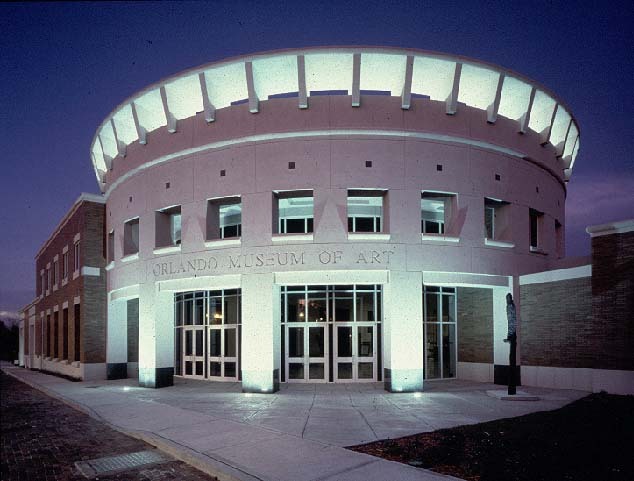 If you are interested in getting married at the Orlando Museum of Art, you should definitely read all the helpful information below! The Rotunda holds up to 150 seated guests, the Rotunda with A,B, & C holds up to 250 seated guests. 101 Grand Gallery can hold up to 100 seated guests. And the full museum can hold 300 + guests cocktail style. 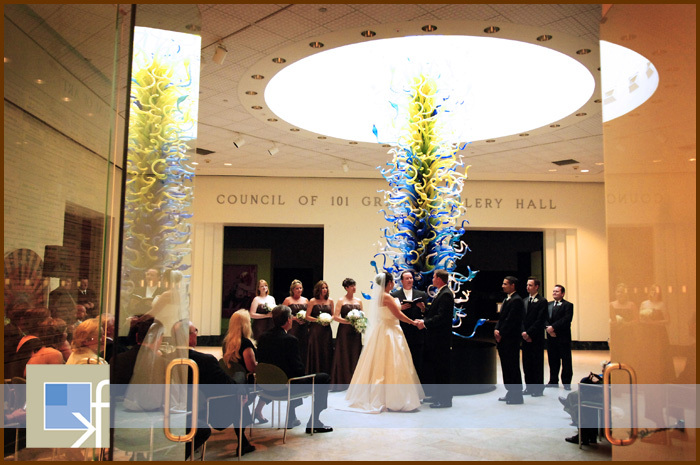 All wedding packages vary based on the amount of guests and which areas of the museum will be in use. Add-on items include the Museum Shop, TV/VCR, risers, tents, valet parking, wireless microphone, and LCD projector. Vendor set up may begin at 3:30pm in the Rotunda and Meeting Rooms and 4pm in the Grand Gallery. Delivery of items must be arranged through the Facility Rental Coordinator for the day of the event drop off and pick up. We have our education classroom for the bride and her bridesmaids free of charge and if the groom and his groomsmen would like a room as well, we have one of our studios for them to get ready in for $45. If the couple is not holding their ceremony at OMA, we will still have the education classroom available free of charge for the newlywed couple to relax in when they arrive at our facility. The Facility Rental Coordinator, Alyssa, will be on site from set up until midway through the reception. There will also be a Facility Assistant on site the entire evening from setup until break down. All décor is subject for approval by the OMA. All décor items and placement must meet fire and safety codes. No, only one wedding per day. The Facility Rental Coordinator, Alyssa, will help with anything regarding the facility and the vendors who will be coming in to OMA to setup but cannot be available to coordinate the entire event. If the client is in need of a wedding coordinator they will need to hire one separately. We do have a list of eight approved caterers that clients must choose from. For any other type of vendor (florist, cake, photographer, DJ, etc. ), we have a list of recommended vendors who have been to our facility many times and know our venue very well. We recommend that clients take a look at that list but they are not required to choose one of those vendors. Rehearsals can be done the day before the wedding from 4-5pm with no charge. Any other day or time will be $656.25 for one hour rehearsal. OMA does not have any outdoor space for a wedding ceremony. OMA has a strict NO RED WINE policy. We hope you found all this information as helpful as we did! Remember to keep them in mind when you are searching for the right place for your wedding.